Español / English LLUVIA SE NECESITA UN HOGAR ESPECIAL PARA UNA CHICA MUY ESPECIAL ... Lluvia es un cruce de pastor alemán que fue entregada a la perrera por su dueño. Nuestro corazón se está partiendo por Lluvia. Ella ha estado en la perrera ya mucho tiempo y le ha resultado muy difícil adaptarse, pero pensamos que finalmente ha aprendido a confiar de nuevo y está lista para ir a un hogar. Cuando Lluvia llegó, ella estaba triste, no confiaba en nadie y estaba muy asustada. Ella ha visto a todos sus viejos amigos irse de la perrera y ahorra solo queda Zuri con quien se puede relacionar. Lluvia puede ser muy tímida con las personas nuevas, especialmente los hombres, pero una vez que te conoce, te sigue durante el juego y espera que le des alguna comida. Ella disfruta de mimos y se lleva bien con otros perros. Ella se merece a un hogar tranquilo y pacífico donde puede disfrutar de la vida y ser adorada. Lluvia ha testado positivo para Leishmaniasis y está respondiendo bien al tratamiento. Video 23/9-17: https://www.youtube.com/watch?v=NEYwtRoZWmg. Video 21/10-17: https://www.youtube.com/watch?v=eUID7EEf8ds. Video 04/11-18: https://www.youtube.com/watch?v=oweqniNCAOo. 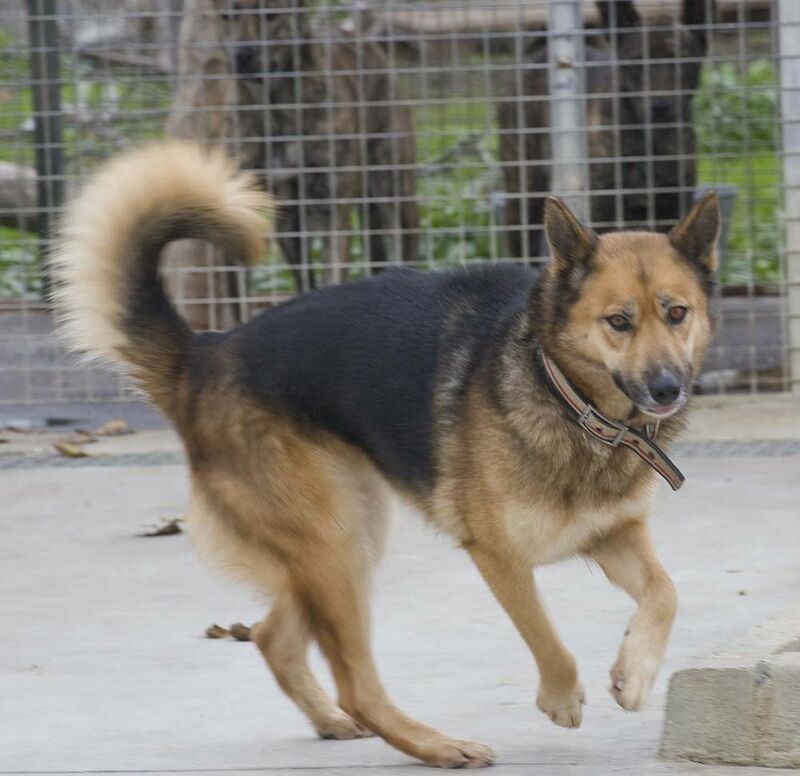 English: A SPECIAL HOME NEEDED FOR A VERY SPECIAL GIRL… Lluvia arrived at the pound in 2014 and was approximately 5 years old on arrival. 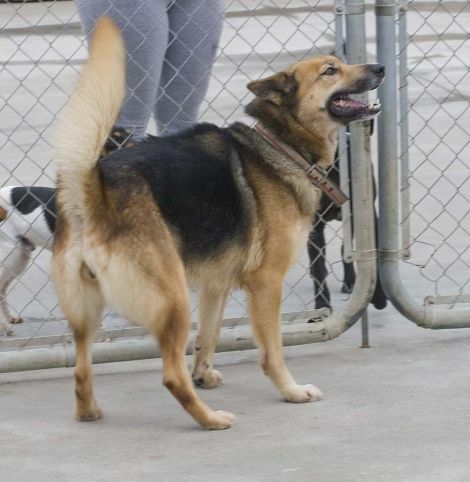 She is a female German Shepherd Cross who was handed into the pound by her owner. Height: approximately 60cm Weight: approximately 30kg. Our heart is breaking for Lluvia. She has been at the pound so long and has found it so very hard to adjust but we think that finally she has learnt to trust again and is ready to go to her new home. When Lluvia arrived she was heartbroken and trusted nobody and was so scared. She has seen all her old friends leave the pound and there is only Zuri left who she can relate to. Lluvia can be very wary of new people, especially men but once she knows you she follows you around during playtime, hoping she will get a treat. She enjoys a cuddle and gets on well with other dogs. She so deserves a nice peaceful home to live in where she is looked after and totally adored. Lluvia has tested positive for leishmania and is responding well to treatment. UPDATE JANUARY 2019: We would so love Lluvia to find a home where she learns about love and comfort. She has come such a long way since she arrived at the pound. Lluvia needs a home in Spain, close to the pound preferably so her adopter can come and meet her and get to know her unique ways. Lluvia is a stubborn girl who likes some people and not others, and will only do what she wants to do unless she is coaxed with treats. She will do most things for treats. She is not a dog that likes to be manhandled and partucularly not by the collar. She loves a stroke and a cuddle though. She needs a home without children, with outdoor space and flexibility, with other laid back dogs, where she can do things at her own pace. 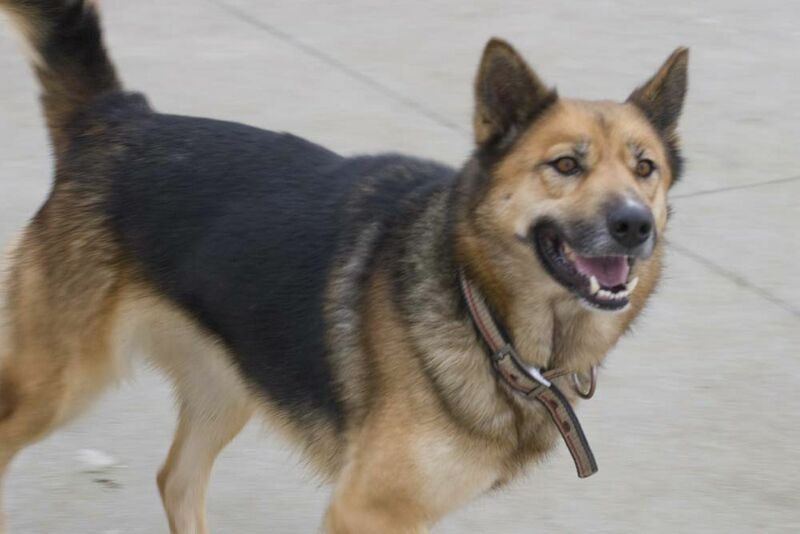 Once Lluvia decides she likes you she can be very loving and loyal and the transition for her into a home environment would be very rewarding. 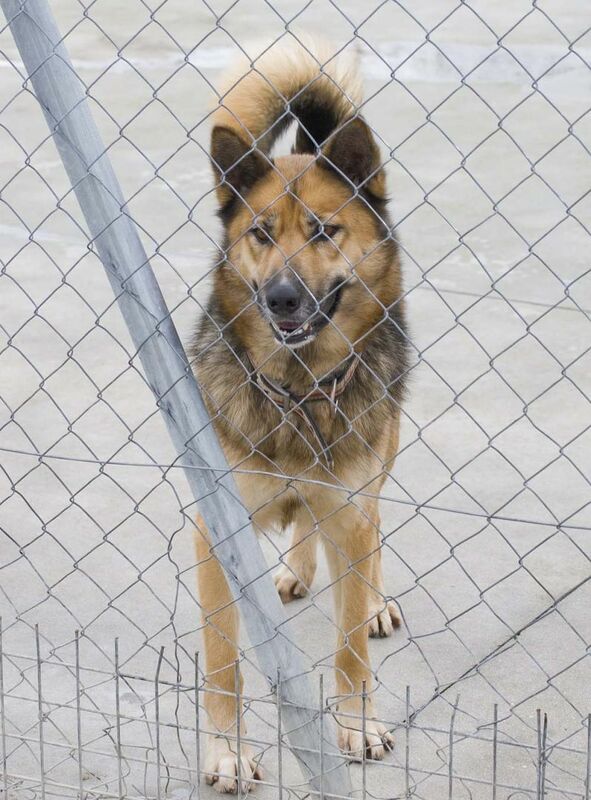 Lluvia is available for adoption in Spain only.